All Lift Forklifts & Access Equipment is a relatively new Genie customer, having launched its EWP fleet in December 2015 with a Genie Z-135/70 knuckle boom lift as part of the offering. 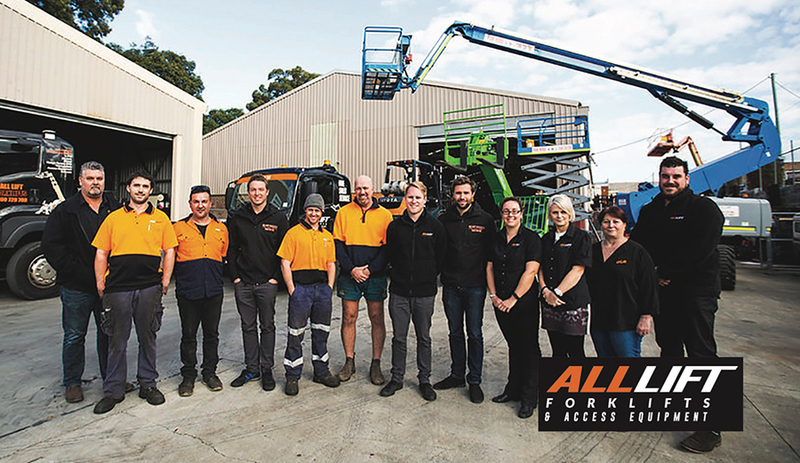 In the subsequent eight months, the forklift and telehandler specialist, which operates from Rydalmere in NSW and Coburg North in Victoria expanded its EWP fleet significantly with the purchase of a Genie GS-1932, a GS-3246, a GS?4047 slab scissors and a Genie S-45 telescopic boom lift. It has added a number of diesel and electric Genie Z-34/22 knuckle boom lifts, a Genie Z-80/60 and the Genie Z-135/70 knuckle boom lift. Linking with Genie is proving the perfect launching pad into the EWP hire access space for the forklift specialist, according to Nicholas Mobbs, Marketing Manager, All Lift Forklifts & Access Equipment. All Lift started operation in May 1998 specialising in the hire of 1.5 tonne to 2.5 tonne LPG and electric powered forklifts. The business now has over 800 machines in its hire fleet, including forklifts, all terrain forklifts, telehandlers and now EWP equipment. “The access side of the business is relatively new however it has enabled All Lift Forklifts to expand within the hire sector at an exceptional rate and even caused a business name change in the last 12 months - All Lift Forklifts & Access Equipment,” said Mobbs. Likewise, the Genie brand recognition is proving a significant bonus for All Lift Forklifts & Access Equipment. “We have a number of different EWP brands in our fledgling fleet, but our customers find the Genie machines are the standout because they are tough and resilient, packed with safety features and are easy to use. There’s no issues getting the Genie machines onto a worksite.” Mobbs said the Genie equipment is proving a very popular choice on construction sites, while painters and renderers are using the scissors to aid their business operations.